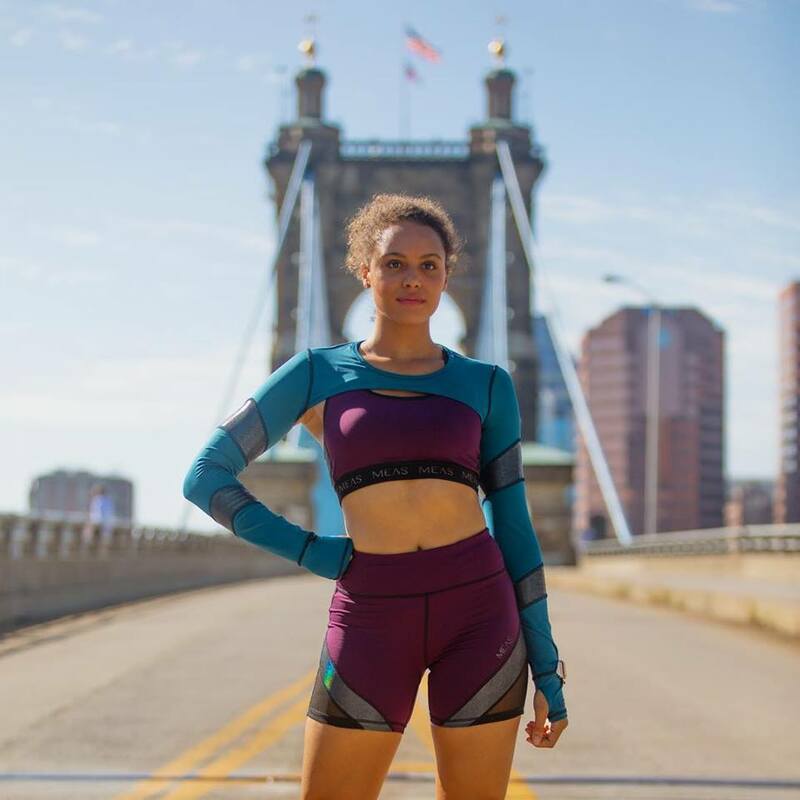 A Cincinnati native is on a mission to provide fashionable athleticwear while supporting a great cause. 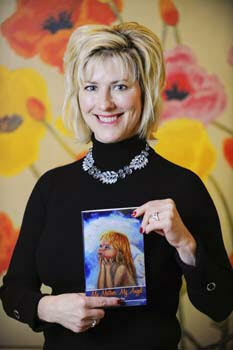 Read on to hear her inspiring story and see her fab designs. MEAS Active offers fashionable running apparel while doing good in the community. Look good, feel good, and do good. 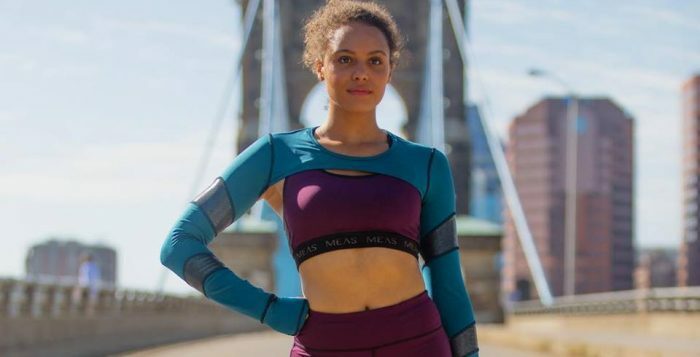 That’s the idea behind MEAS Active, a women’s performance apparel business that supports and celebrates women while also giving back to non-profit organizations, launched by Cincinnati native Erin Roddy. 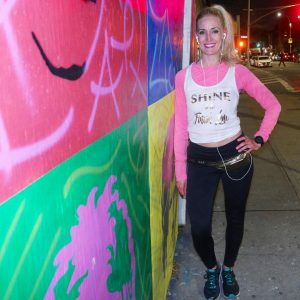 Roddy says she was inspired to launch MEAS Active after combining her passions – fashion design and running. That’s when she came up with MEAS. “It’s fashionable running apparel that will work as hard as she does,” Roddy explains. The inspiration for donating a portion of proceeds to non-profits comes from the inspiration Roddy finds in the strength of women. While Roddy was with the young girls on her trip, she knew that they had been through hell and back, with more pain and suffering than anyone should have to endure in a lifetime. “However, while playing a simple board game with them, the joy, laughter, and hope in their eyes reminded me of how strong a woman really is,” she says. 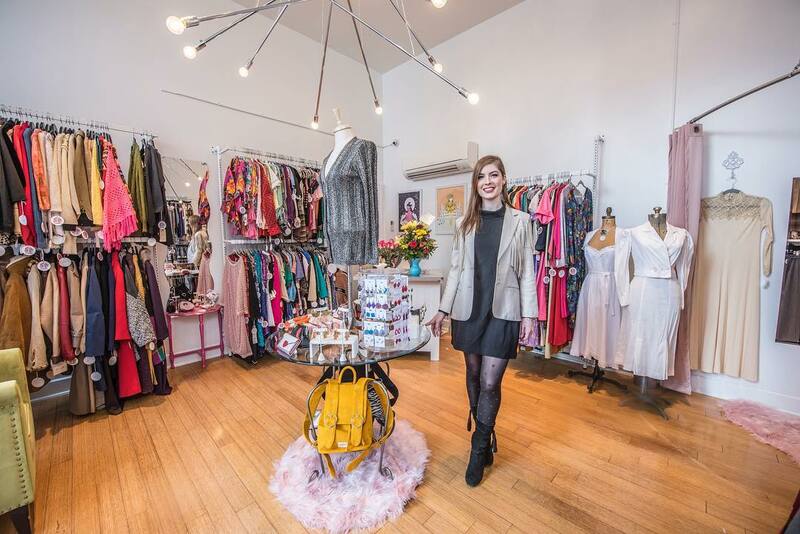 Roddy is a Cincinnati native and graduated from DAAP and the business college at the University of Cincinnati, before heading off to New York City for a fashion career. At MEAS Active, you’ll find running apparel that offers all of the function a female runner wants. To achieve this growth, Roddy is looking to her Kickstarter campaign, a campaign that ends on April 10. The goal is to reach $30,000 to ensure that she can bring MEAS to life and begin the first major production run. 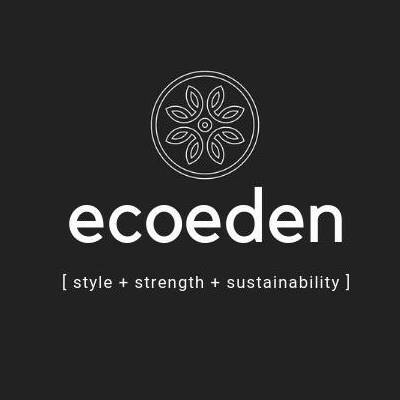 When asked what makes her brand unique, Roddy says that it’s the combination of true performance technology with fashionable outfitting that can be worn to brunch or for grueling workout or run. You can check out MEAS Active in person at the Cincinnati Flying Pig Marathon Expo May 3-4, with the beneficiary of the event being Girls on the Run Cincinnati, who will receive 10 percent of the profits from the weekend. To learn more about MEAS Active, visit www.MEASactive.com or watch the video below. You can also follow along with MEAS Active on Facebook and Instagram. It’s almost Wedding Season again! For our annual bridal issue, we chat with the founder of a new web series that highlights the pros in the region’s wedding industry. 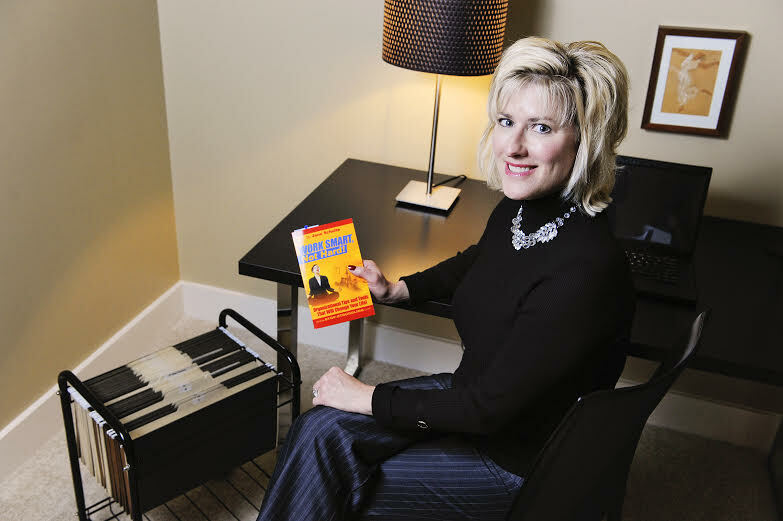 Kathy Piech-Lukas has plenty of experience in the wedding planning industry. 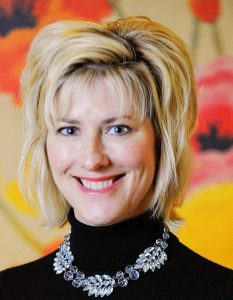 She’s planning hundreds of weddings over the years and has more than 20 years of event planning experience. The passion for weddings came from planning her own wedding. 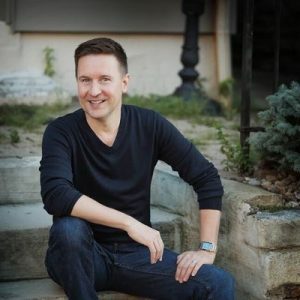 Piech-Lukas is the sole owner and planner at Your Dream Day, a wedding planning company that serves brides and grooms in Cincinnati and Dayton. 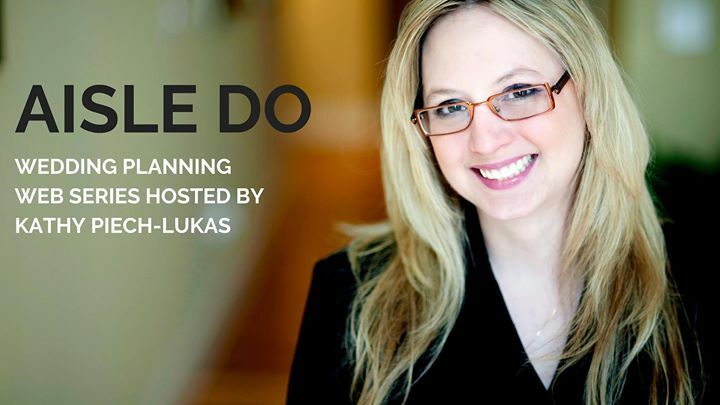 But after years in the industry she’s taking on a new branch to her wedding planning services – a new wedding planning web series hosting by Piech-Lukas where you can watch and meet dozens of Cincinnati and Dayton’s top wedding professionals. 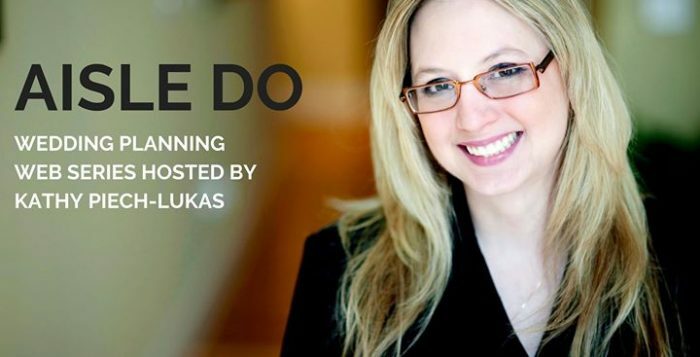 In her new web series, Piech-Lukas ventures throughout the Cincinnati and Dayton areas to talk with bridal boutiques, venues, florists, and other vendors who are there to help you make the biggest day of your life perfect. So far Piech-Lukas has spoken with locally-based bridal stores, visited other boutiques, and talked about the biggest wedding trends you can expect to see this wedding season. 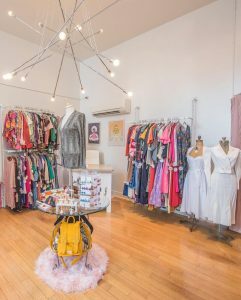 “Every story is original and every vendor is unique,” she says when talking about the businesses she visits to highlight on her web series and sharing the stories they have to offer. Piech-Lukas says that Aisle Do just seemed like the perfect idea when it comes to better serving her clients. 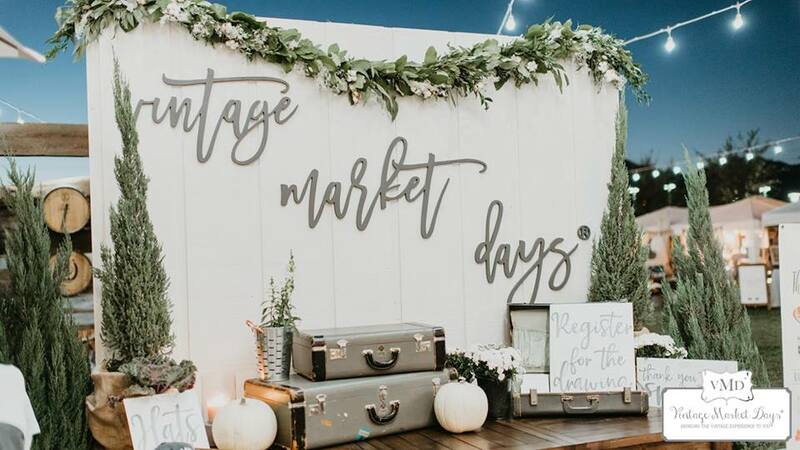 Because clients bring their own inspiration for each event, she wanted to be able to showcase venues, vendors, and others who can help to make a bride’s big day even better, because no two weddings are the same. 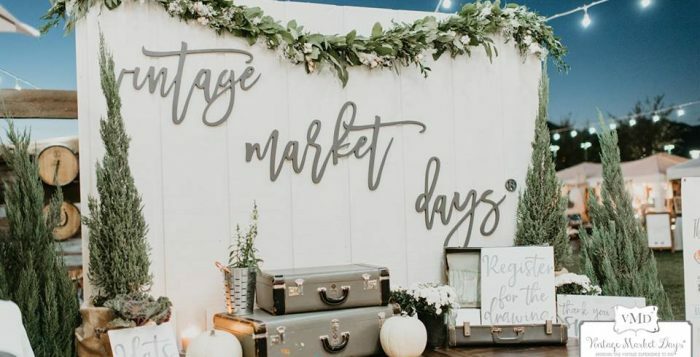 To give followers even more when it comes to connecting with those in the wedding industry, Piech-Lukas says that she will do social media takeovers for the major bridal shows in Cincinnati, including BridalRama, Cincinnati Wedding Showcase, Ohio Wedding Shows, and A Bride’s Mafia. Learn more about Aisle Do on Instagram, Facebook or follow along on the YouTube channel. To learn more about Your Dream Day and the wedding planning services offered, visit here. See how one local lady is bringing the community together with her blooming business. Learn more about her services, classes, and new subscriptions to always keep a little sunshine in your space. Christina Matthews wanted to switch up her career path. She wanted to turn to something that was more in-tune with nature. In an attempt to completely immerse herself in the field, she spent years learning how to grow and sell flowers, vegetables, and herbs through Berea College’s “Grow Appalachia” program. 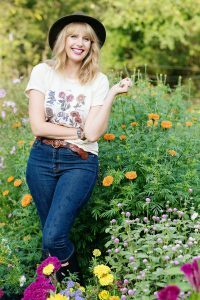 Today she’s the founder of The Flower Lady OTR, a happy flower farmer-florist located in Over-the-Rhine. 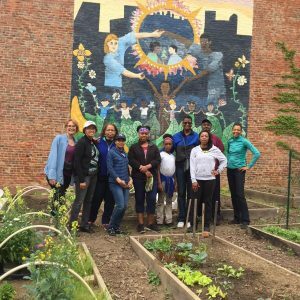 Matthews’ participation in the OTR community is an important one to her, as she lives, works, and gardens there. 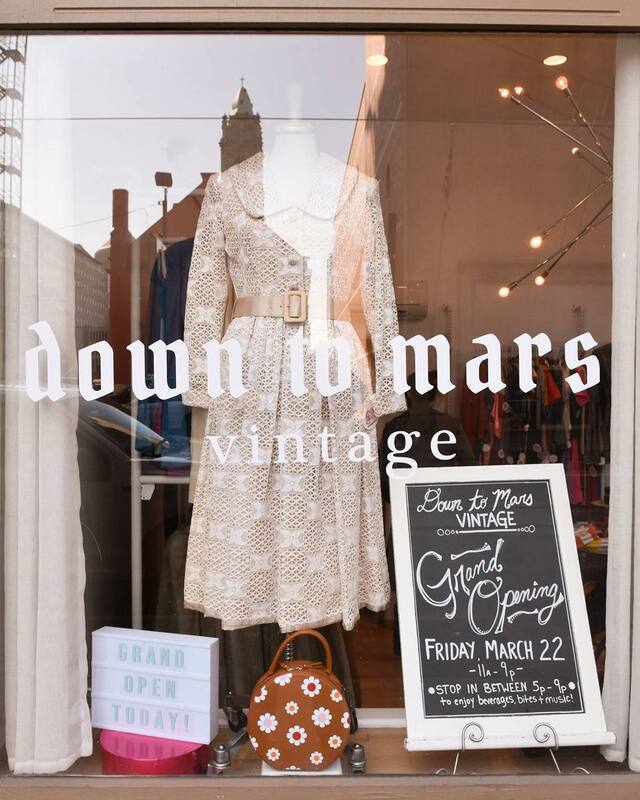 Through The Flower Lady OTR, you’ll find flower arrangements and floral solutions for several restaurants, salons, and businesses in the Over-the-Rhine neighborhood. Matthews says she enjoys being a part of the slow flower movement and seeing the positive impact that flowers can have on people and the environment. The Flower Lady OTR offers a variety of floral services, ranging from flower crowns to arrangements for restaurants and small businesses. 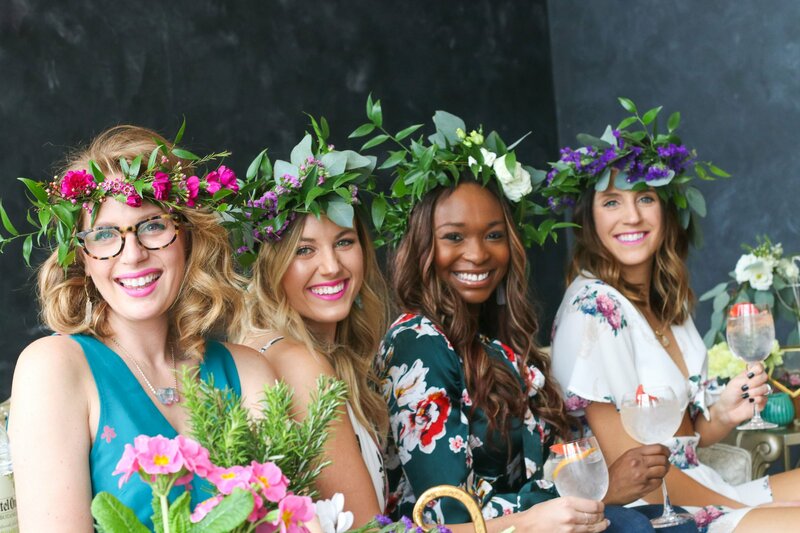 The Flower Lady OTR can create flower crowns for any occasion with at least 24 hours notice. Matthews wants you to think of The Flower Lady when planning corporate events, dinner parties, holiday events, and ladies nights. “I can even come to you,” she adds. Restaurant and small business owners can also turn to The Flower Lady to help create a fresh new addition to your space. “Let’s liven up your hostess stand, dining room, or office with a custom floral design that will compliment your decor,” she says. Business owners can even sign up for a weekly subscription with The Flower Lady to ensure that their arrangements stay fresh. To see even more of The Flower Lady’s services, click here. What makes The Flower Lady unique is more than just the services she offers – it’s what her beliefs are rooted in. Matthews says that you can see The Flower Lady OTR in multiple upcoming events. 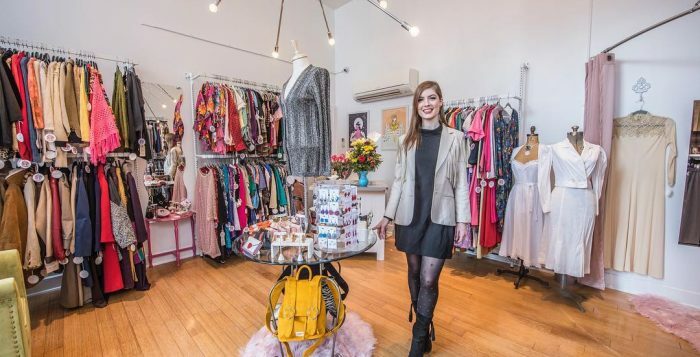 “Come out to Taft’s Brewporium Spring Garden Market between 11:30 am and 5:00 pm on March 9 to get everything you need to welcome the spring season,” she says. At the market she’ll be teaching a succulent class, offering garden tips, and selling indoor house plants potted in unique, recycled planters. 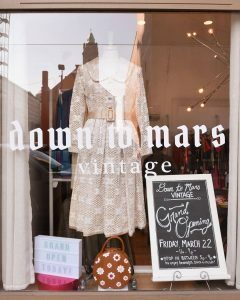 Matthews adds that The Flower Lady OTR will be at the Springtime Celebration hosted by Cincy Chic and Watson’s on March 14. The event will include wine tastings, al fresco cooking demos, centerpiece-building, wreath-making stations, and a color/fabric pairing workshop. The Flower Lady OTR will also be at Cincinnati’s Earth Day Celebration at Summit Park in Blue Ash on April 27 where she will be offering gardening tips and selling flower crowns. Attention, wine lovers! Read on as we go behind the scenes of an upcoming event that brings hundreds of wines from around the world under one roof - all for a good cause! Cheers to that! 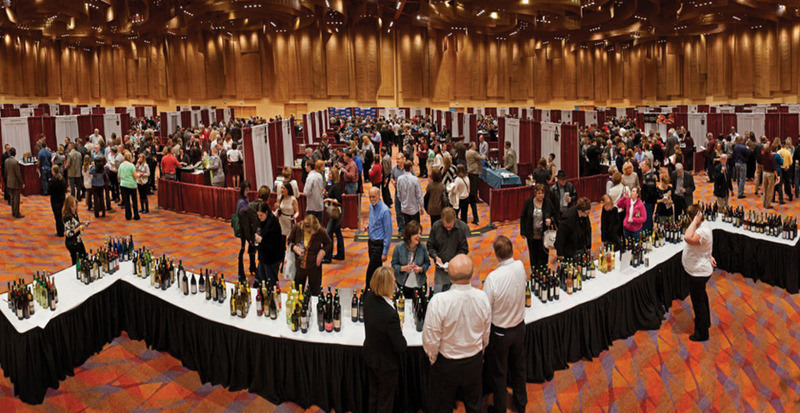 The 29th Cincinnati International Wine Festival is being held March 7-9. Love wine, a fun time, and supporting important local causes? Then mark your calendar for the 2019 Cincinnati International Wine Festival, March 7-9. Founded in 1991, the Cincinnati International Wine Festival is a 501(c)(3) fundraising organization based in Cincinnati that aims to raise funds for local charities through the celebration of the wine industry. This year is the 29th annual festival, featuring more than 700 wines from 200 wineries while benefiting 35 Greater Cincinnati arts, education, and health and human services charities. According to Executive Director, Debbie Dent, the Cincinnati International Wine Festival was started to connect the love of wine and local charities. “The Cincinnati International Wine Festival was created to promote the wine industry while giving back to the community, one glass at a time,” she adds. The exclusive Winery Dinners are held at Cincinnati’s most prestigious restaurants on Thursday, March 7, where visiting wine experts from around the globe team up with local chefs to create incredible multi-course dining experiences with fine wine pairings. Grand Tastings are held on Friday, March 8 and Saturday, March 9 featuring 700 wines from 250 wineries accompanied by gourmet food and a silent auction. Tickets to a variety of Education Sessions and a Special Tasting Room are available prior to each Grand Tasting. Also on Saturday, March 9, is the charity auction and luncheon at the Hilton Netherland. The auction features a variety of limited-release and rare wines, chef’s table dining experiences at exclusive Cincinnati homes, travel packages, wine cellar tours and more. In addition to all the things attendees know and love about the festival, Dent says, there are some new features this year. For example, they added the option to purchase an unlimited access weekend pass, more schedule-friendly hours on Friday, and an expanded ticket price range to accommodate every budget. It’s all for a good cause, too. Half of every festival ticket purchased benefits 35 local charities dedicated to the arts, education, health and human services. The goal of the wine festival is to give back one glass at a time, Dent says. In fact, the festival has given more than $5 million to local charities since it was founded. Tickets for the event are still available and range in price from $70 to $300. To purchase tickets, visit winefestival.com. To learn more about the event, visit winefestival.com or follow along on the Cincinnati International Wine Festival’s social media pages on Facebook, Twitter, and Instagram. From the Windy City to the Queen City, one local nutrition expert is returning to her roots to share in all that Cincinnati’s fitness and food scene has to offer. Read on for all the delicious details! 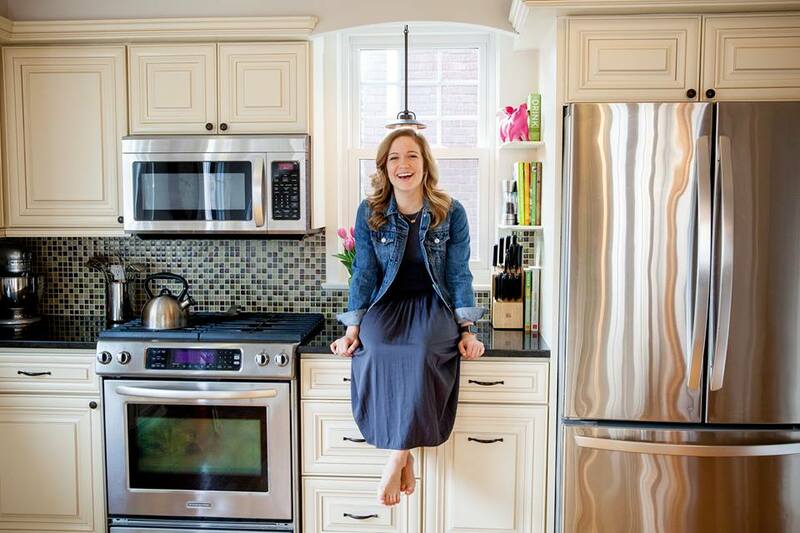 Kayla Hansmann, the founder of Cincyfitfoodie. Cincinnati may not be one of the biggest cities in the country, in terms of size alone, but its fitness and food scenes are big, bold and beautiful. Capturing this beauty is what inspired the platform Cincyfitfoodie, launched by Cincinnatian Kayla Hansmann. 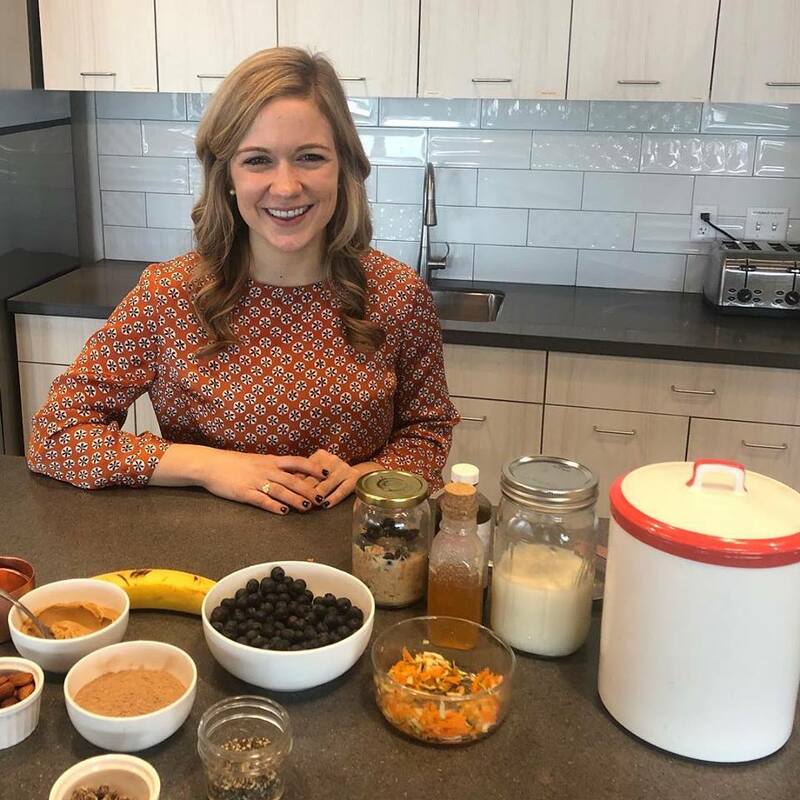 Hansmann, a registered dietician, fitness instructor, and local foodie, says Cincyfitfoodie is a platform for sharing her food, fitness, and fun, which is usually related to food and fitness, throughout Cincinnati. Hansmann says she was inspired to launch Cincyfitfoodie after spending a few years in Chicago. Although Cincyfitfoodie’s story got its start in January 2018, Hansmann’s blogging past goes back further. Hansmann also offers nutritional information and recipes on her platform. Through Cincyfitfoodie, you can find personalized nutrition services for individuals and groups. 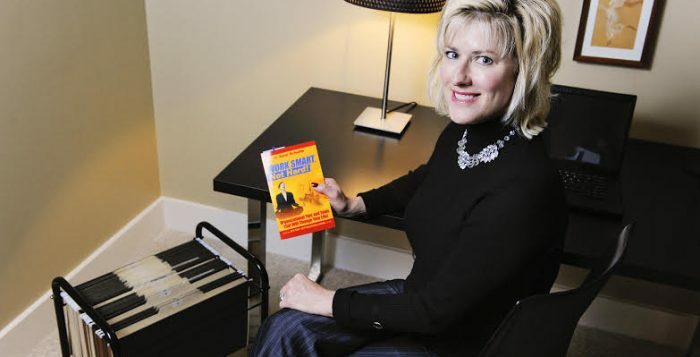 Hansmann says that she does one-on-one assessments as well as monthly accountability to ensure she’s following along closely with clients to meet their goals. 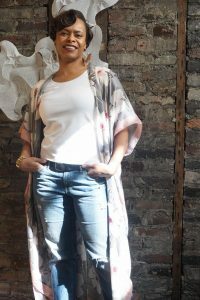 She’s also dipping her toes into corporate wellness speaking engagements and events – which she says is fun because she gets to reach large groups of people in environments that can sometimes be toxic to health and wellness. 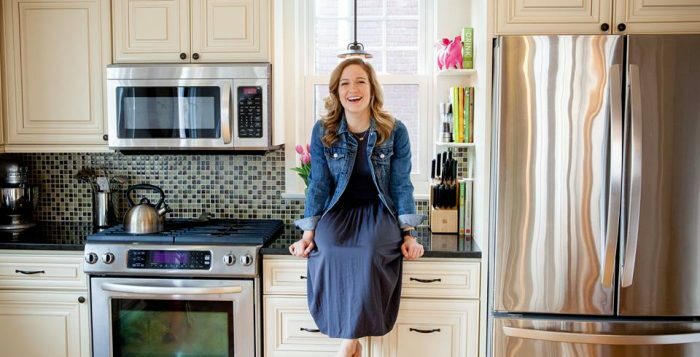 “In these sessions, we talk about timely nutrition hot topics and taste recipes for easy workday lunches and busy weeks,” she adds. Hansmann is looking forward to the future as she prepares for yet another adventure. Hansmann says Milk’d is something that she’s been thinking about for a while thanks to her role in her part-time job at Children’s Hospital. To learn more about Cincyfitfoodie, visit www.cincyfitfoodie.com. You can also check them out on Facebook and Instagram. 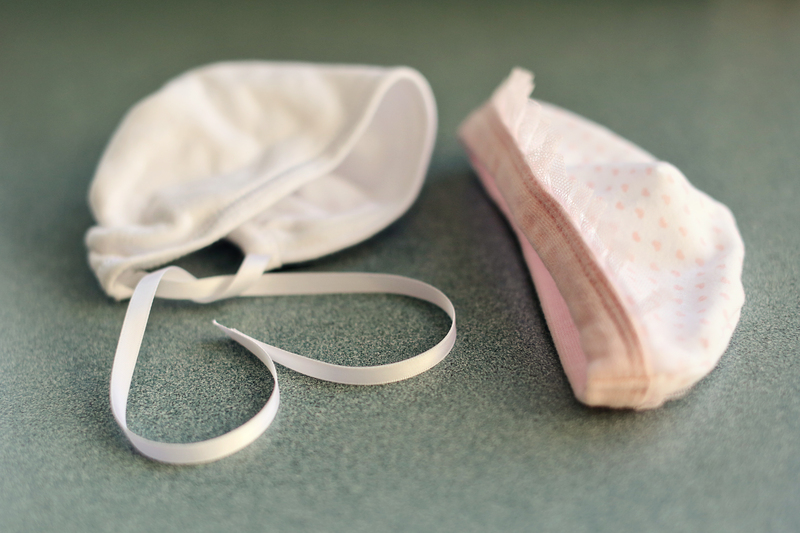 The founder of a powerhouse digital marketing startup has a story you’ll need tissues to read. Read on to hear how this local entrepreneur turned a nightmare into inspiring a dream come true. David Brauntz, the founder behind the digital marketing startup Hudson Brauntz, and his wife have traveled some treacherous terrain on their journey. But through it all, they’ve found peace, inspiration, and love in their tragedy. Hudson Brauntz, based in Northern Kentucky, works to connect small and mid-sized businesses with customers in order to help propel their business forward. While Brauntz focuses on bettering the business of his clients, there’s much more to his story and the story that inspired him to take the first step toward his dream. Brauntz has more than a decade of experience working in the digital marketing world for a variety of companies. He loved what he was doing but owning his own company was always in the back of his mind. However, at the front of his mind, and of his wife’s mind, was starting a family. After years of trying, Brauntz and his wife Rotha were pregnant with twins thanks to fertility treatments. As expectant parents are, they were over the moon. Everything was going just fine, until it wasn’t. Brauntz did what anyone would – he acted without thinking to get to his wife’s side as quickly as he could. “All I knew was that I needed to get my wife to the hospital,” he says. Despite being told that there was indeed no longer a heartbeat coming from his son, Brauntz says it was something he needed to see for himself. 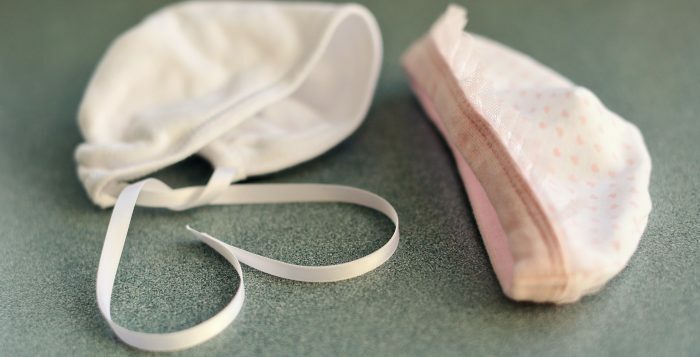 While the loss was devastating and beyond anything they could have ever imagined, they found solace in knowing that their little girl was still doing well. However, she was tiny, so the goal was to keep her in the womb for as long as possible in order to give her the best possible chance of survival. 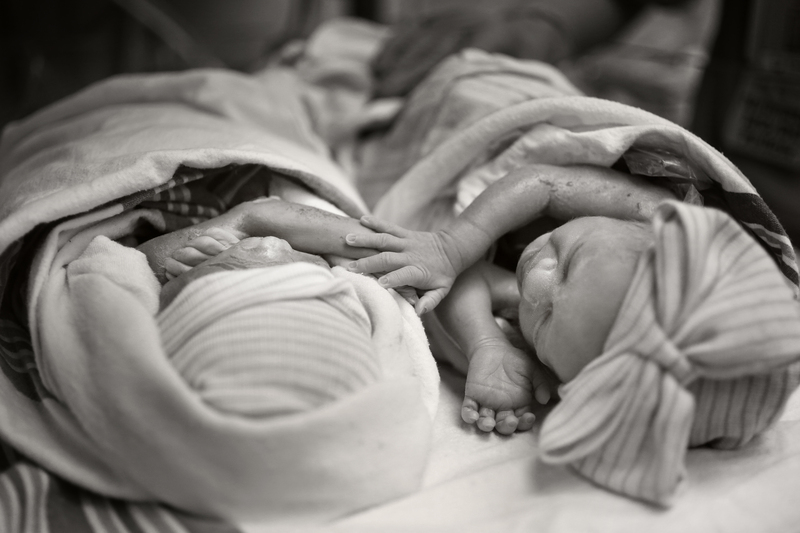 Brauntz’s wife stayed at the hospital on bedrest for the next two weeks, until doctors decided she would deliver both babies at 34 weeks. Brauntz says that March 8, 2017 was both the happiest and saddest day of his life. Those tragic six weeks made Brauntz rethink everything he thought he knew. To him, time and fear had an entirely new meaning and everything that he had feared before simply didn’t make sense anymore. That tiny little person, who impacted the lives of more than just his parents, also gave Brauntz the courage to do something he’d always dreamed of doing – starting his own company. “So when it came to naming the company, it only made sense to name it after him,” says Brauntz. There are multiple distinctions that make Hudson Brauntz unique, aside from the company itself being a lifelong vision of its founder. 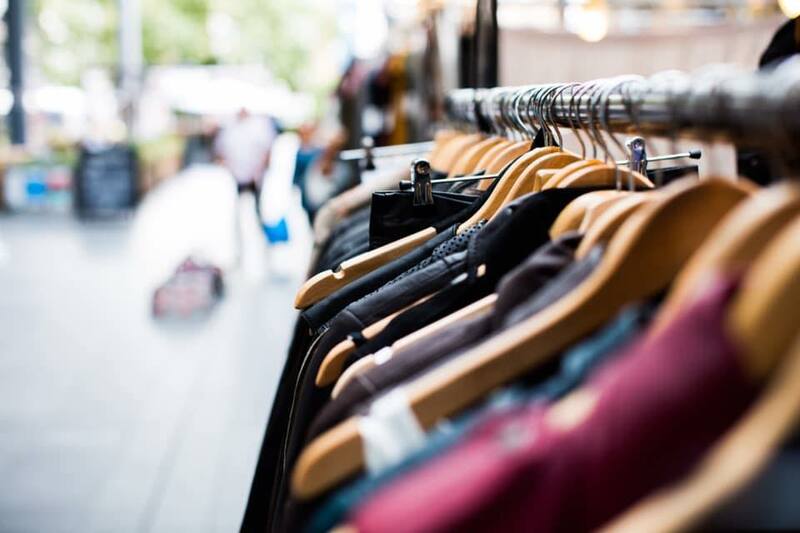 Brauntz also has experience in a range of industries – from retail to merchant services – and with businesses of all sizes. This experience, he says, has taught him that, above all else, it’s about being honest, respectful, and kind. “This will bring in more success than any pricing model or marketing efforts,” he adds. While the first year of Hudson Brauntz was focused on getting up and running, the future of the business is looking to sharing its journey and providing tips along the way. To learn more about Hudson Brauntz, visit http://www.hudsonbrauntz.com. You can also follow along on Facebook.